Delightful year-round cottage on the 'Nubble' in York, Maine. Perfectly situated in a friendly and safe neighborhood - far enough from the waterfront hustle and bustle but close enough to hear the ocean roaring and feel the cooling breezes. A perfect getaway for families. The house is tastefully decorated and very comfortable. Dining table seats 6-8; U-shaped kitchen with island seating for three. Any extras can spill out onto the adjacent deck which gets the morning sun. Large and comfortable living area. Downstairs back bedroom is great for kids...sleeps three in beds plus has a pull-out sofa bed. Additional first-floor bedroom with double bed and large upstairs master bedroom with a king-size bed. Large bathroom with tub/shower, washer/dryer and great over-sized outdoor shower area. Two-minute stroll to Maine's most-famed Nubble Lighthouse; One-mile walk to beautiful Long Sands Beach. Minutes from area attractions including York Wild Animal Kingdom (just down the road), Water Country (20 minutes away), ' Kittery Outlet shopping (15 minutes), picturesque seaside villages of Ogunquit and Wells and fantastic antiquing possibilities and fall adventures. Enjoy all that coastal Maine has to offer...Fill your days with a multitude of activities from fall foliage expeditions to lobstering trips, to whale watching, championship golf, and great shopping or foliage expeditions. Or, head to the beach for some sun, surf and shelling. When the day is through, relax on deck with a cool libation and watch the kids play a round of badminton or head to one of the area's great restaurants. It's up to you. Jim and I purchased the cottage when our youngest child was just a toddler. We had fallen in love with York and wanted to make it our summer home. We did that for many years while the kids (3) were growing. When our oldest entered high school, getting to Maine for an extended stay became more difficult. We started renting. Many of our "renters" became friends that returned year-to-year. They too had young families and appreciated all that York had to offer. We fell in love with this cottage right away - it had everything we were looking for! It was simple and comfortable, on a great quiet street with a nice backyard and kitchen perfect for entertaining! Two air conditioning units help keep the house comfortable on the RARE occasion when there’s not a nice breeze! We absolutely loved our stay and thank the owners Chris and James for their hospitality and sharing their wonderful home! The house is beautiful and spacious, the backyard and porches are the perfect spots for spending time with family and relaxing. The location is ideal, minutes to the lighthouse and beaches. Town is only 5-6 mins away with shops and restaurants. We fell in love with York and we are already looking to return! It’s absolutely stunning and the house was perfect for our family of 4! Thank you so much! Nice house Near to Nubble Light House. Good Time! The cottage was wonderful. The photos don't do it justice. Location is great! Perfect home away from home 🏡🏡. Thinking about spending your next vacation at York Beach? All I have to say is, book this fabulous beach cottage! With the well appointed kitchen (love the countertops), spacious living room and gorgeous master bedroom, you will never want to leave. The cottage is walking distance to Nubble Light House, short ride to short and long sands and is set back on a nice private road. Looking forward to our next trip to York Beach! Thank you Jennifer for your kind words. We’re happy you enjoyed your stay and would welcome you back anytime! Great property for the rate! So close to the Nubble Lighthouse; beautiful! Older cottage but an excellent value for the rate. Kitchen completely new and lovely space for all to hang out together. Great kitchen to cook in as well since we made our meals. Nice separate bedroom upstairs away from main floor. The back bedroom with its own porch is quite cozy and charming - a favorite spot in the morning! 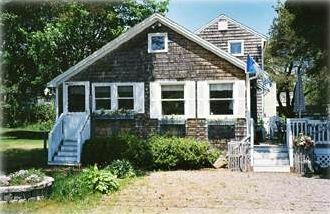 Easy 20 minute walk to either Short or Long Sands beach. Walkable roads for the most part. Being close to the Nubble and feeling the ocean breezes was quite perfect! Good property for kids with a great backyard space and lots of toys and games in the shed. Loved the sprinkler for the kiddo!! Owners were very responsive and helpful!! Located in a quieter area in neighborhood type streets. Really enjoyed our time here and looking forward to more stays in York Beach! We are a multigenerational family that lives and travels together. This house worked well for us. Everyone had space and comfort. I would recommend driving and parking when going out. The streets are narrow and busy. We loved York and plan to return. Rates are subject to change until confirmed. Seven-night minimum stay during high season. Changeover day is Saturday. Check-in time is 4:00 PM; Check-out time is 10:00 AM.